The Democratic Republic of the Congo is a country about two-thirds the size of Europe, with a population of 65 million, and in which the average person earns $1.25 per day, according to statistics from the International Monetary Fund. Vast parts of the population live hand-to-mouth, depending on subsistence agriculture or crude forms of trade. There are 2.3 million displaced persons and refugees in the country and 323,000 living in refugee camps outside it. It remains at nearly the lowest slot on the human development scales of the United Nations. Its government is inept and corrupt, and its infrastructure has been hopelessly damaged in the series of wars the country has undergone—conflicts still rage in parts of the country. Meanwhile, in the country’s mines, where 2 million people work, 40 percent of them are children under the age of 12, according to the CNN Freedom Project. 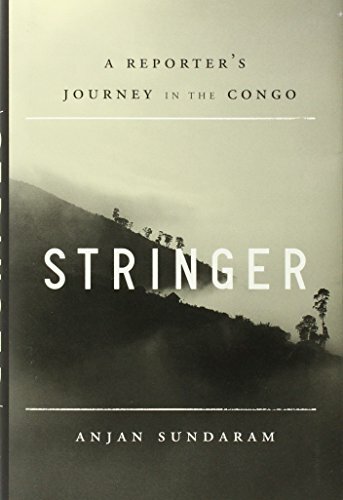 Into this horrendous mess, the author of Stringer, Anjan Sundaram, a 25-year-old college student, arrives one day with the idea of becoming a journalist and covering the local news. What follows is a unique, superb, and original piece of first-person journalism, a contribution for which we have great need for there is virtually no in-depth coverage of this country or its peoples. The book has many weaknesses, but its great strength is placing them all in the background. Sundaram’s personal feelings and evolution are poorly developed throughout the book, and this remains one of its principal weaknesses. An Indian citizen who grew up in Dubai, Sundaram had been studying mathematics at Yale. A kind of prodigy, he had skipped forward rapidly from undergraduate studies to Ph.D. level with the sponsorship of an important professor. He has a chance meeting with a Polish journalist who writes about small countries that receive little news coverage; this bothers him a lot, though we don’t really know why. He also seems to feel that everything in America has suddenly become too easy for him. ”In America I was beginning to feel trapped and suffocated and removed from the world,” Sundaram says, but without elaborating or explaining why. Similarly, he turns down a glittering job with Goldman Sachs, and that for some reason also inspires the Congo trip. Whatever his motivations, Sundaram arrives in Kinshasa at the home of a family to which he’d been invited by a member in the US. He has no experience as a journalist, but he is determined to write stories for someone. And he is in no way prepared for cultural confrontation. The first thing that happens to him is his cell phone gets stolen. Then the family in Kinshasa seeks to hook him up with a cousin as his mistress—a kind of sexual, financial arrangement that is quite common in the country in which apparently a number of men will support a woman in this way. Sundaram’s reaction is prudish and Western and not much appreciated by his hosts. It transgresses the complex rules of clan organization in which families in Kinshasa are able to survive. His family changes toward him; his room is invaded by rats. After that, in search of his cell phone, Sundaram strays into a group of impoverished drug-crazed adolescents who drag him all over the city in a vain search for his phone. Soon after he is robbed of all his money and hooks up with Associated Press hoping to earn a living writing whatever stories he can (he has beginner’s luck, as his first days coincide with a series of local airplane crashes—those of us who have been stringers know exactly how he feels). Sundaram has come to the DRC at a propitious time. In 2006, the first elections since a series of civil wars are being held. There is, for once, some international interest in the country. Sundaram is able to get his start as a journalist, and he develops and learns to cover the news. He writes with the eye of a careful and thoughtful observer; he will be compared inevitably to Naipaul, although he does not have that writer’s scale yet. Unfortunately, Sundaram’s travels in the DRC are erratic. He takes a boat in the direction of the conflict in the east, but he never gets there. He tours another war zone, but sees only part of it. He never gets to cover the elections. The book is randomly anecdotal, and there isn’t much of a sense that he is following any vision or journalistic credo. But this inside view of chaos and anarchy is priceless, and merits reading by anyone interested in development or world politics.